With New Jersey joining Delaware and Nevada as the official legalized online poker triumvirate attention has now turned to a few potential candidates for the fourth state that will legalize and regulate online poker. While my feeling is that by the end of the year somewhere near a dozen states will have passed some form of online gaming bill there are currently three states I consider front-runners to be the next to pass online poker legislation. According to the perfectly titled Channel WQAD 8 Quad Cities (yes Quad Cities is prominently displayed on their website, which can only be seen as a harbinger for potential poker legislation) a bill has passed through a subcommittee of the Iowa State Senate that would legalize and regulate online poker. The bill, Senate Study Bill 1068, is similar to a bill passed in the last legislative session –a bill that was never even brought-up for a vote in the Republican-controlled statehouse. Before it gets to the House, the bill will first go to the Senate State Government Committee, and from there it’s a simple matter of passing the committee vote, passing the Senate, passing through the House, and finally a signature from Republican Governor Terry Branstad – well ok, maybe it’s not so simple. California is the enigma of the online poker movement; the deep blue state is one of the most pro-gaming states in the country (and has been for decades) yet on the issue of online poker the major players on the California gaming scene are split down the middle. Fortunately it will only take a few entities to flip-flop for an online poker bill in California to gain momentum and breeze through the legislature in my opinion. A new online poker bill was introduced recently, so expect the talking points and politicking to be rampant in California in the coming weeks. Massachusetts pretty much came out of nowhere in recent months regarding potential online poker legislation –there was a throwaway mention of forming a committee in the 2011 bill that will see three casinos licensed in the state—but Massachusetts legislators didn’t waste any time and there are already two bills introduced that could further expand gaming in the Commonwealth. 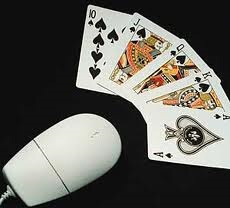 The first bill is in regards to online poker and online gaming; while the second bill pertains to online lotteries –although it wouldn’t take much of a push for a few amendments to work their way into the bill should the Mass legislature choose the latter over the former in my estimation. Helping Massachusetts cause is a very pro-online-gaming treasurer in Steve Grossman. Grossman is a huge proponent of online gaming at the state level and sees the potential a legalized and taxed online gaming industry could bring into the state’s coffers.